This book, "Curriculum Implementation and Instruction" is an x-ray of important concepts in the area of school curriculum. There is a growing concern about the ever increasing gap between the written curriculum and the received curriculum; hence, this book has brought to light some of the interacting factors in the hidden curriculum as well as other chapters that exercise great influence upon successful classroom implementation of the curriculum. The book started with an explanation of what curriculum is, followed by the approaches to curriculum theories and practice. The types of curriculum, curriculum development, hidden curriculum was included. It went further to expose the importance of instructional/teaching methods in the implementation of curriculum in the classroom. It cleared the teacher's misconceptions about instructional techniques and teaching methods. The book went further into some issues on planning and implementation of the school curriculum. 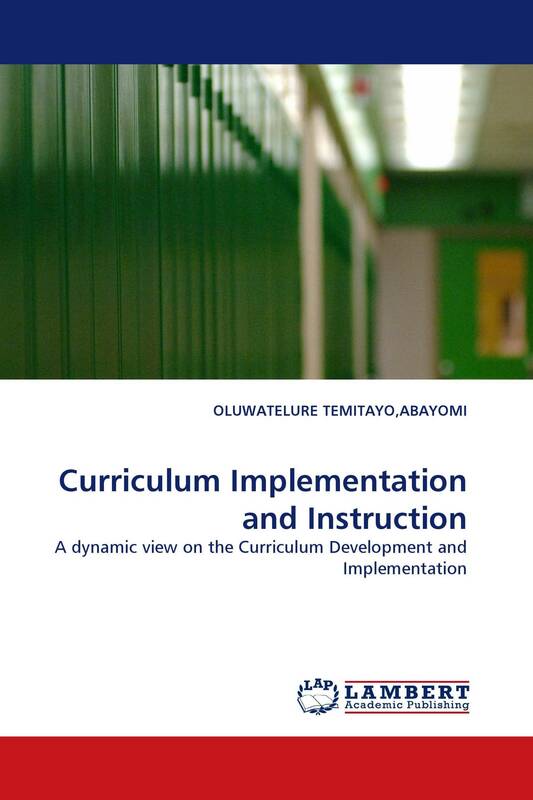 Included in this book is an overview of the curriculum innovation in Nigeria.